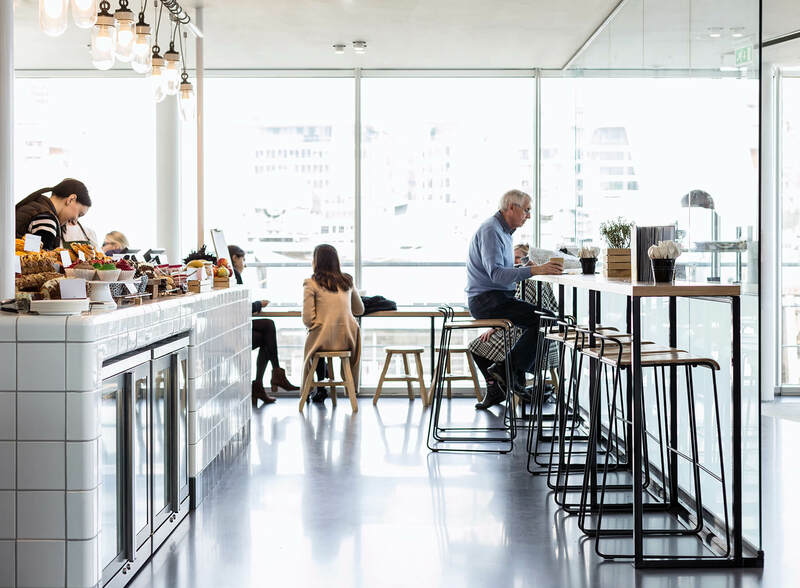 Positioned on the Thames next to the iconic HMS Belfast, the ticketing and gift shop has been transformed into a Tom’s Kitchen – Deli. 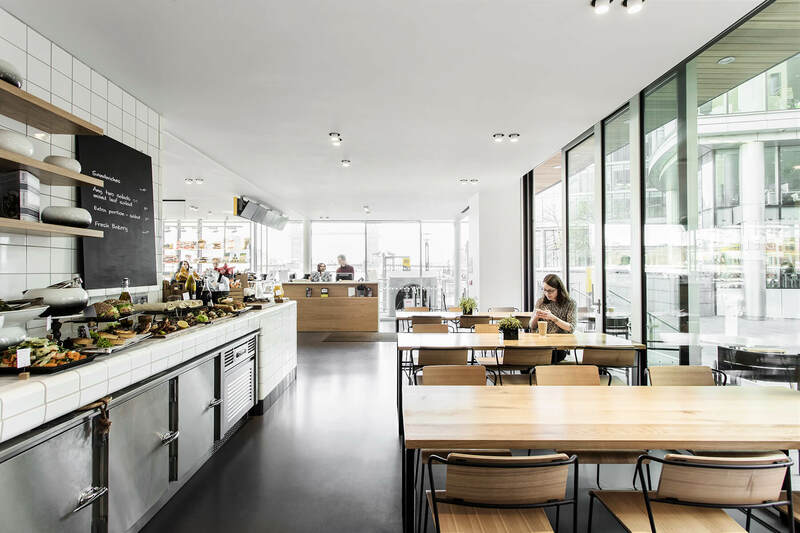 The space provides wonderful views of HMS Belfast, Tower Bridge and the Thames. Floor to ceiling windows make you feel that you’re dining on the Thames as the building jetties into the river. A simple material palette delivers a modern and paired back service for customers, keeping true to the Tom’s Kitchen brand. 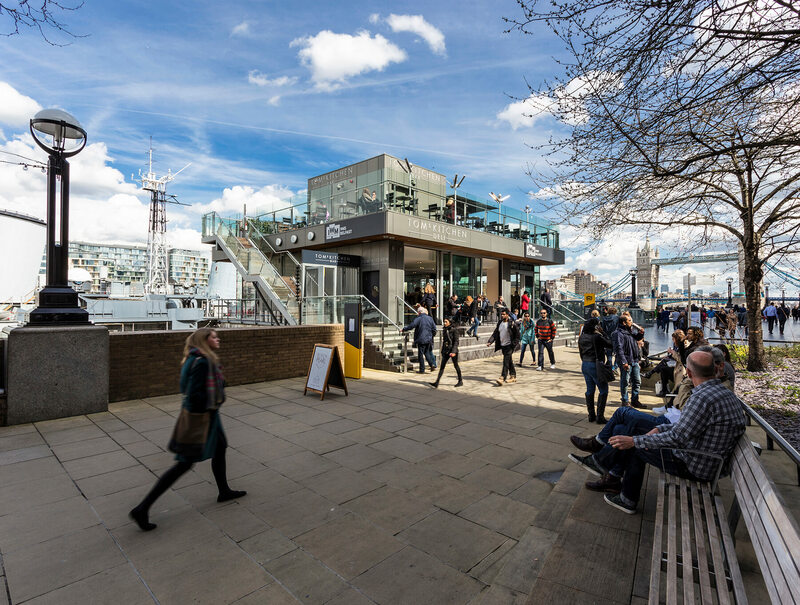 A perfect destination for both visitors to HMS Belfast and the busy commuters along the Thames.